Commissioner Charles Woodley says that the ExCo feels satisfied after a meeting with BZK Secretary-General, Mr. Richard van Zwol. Parties have agreed to try and clear the air to move forward in a positive manner. 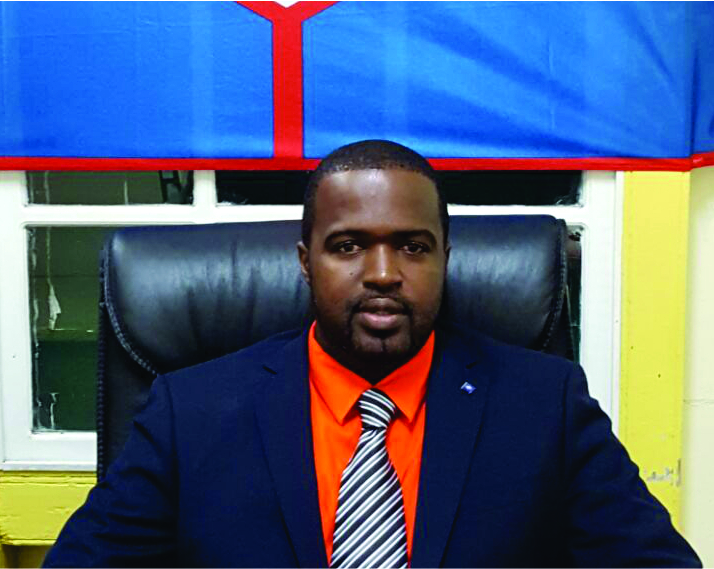 Oranjestad- Commissioner of Finance, Charles Woodley, says the Executive Council is satisfied after a meeting which took place last Friday between his council and Secretary-General of the Ministry Interior Affairs and Kingdom Relations (BZK). According to Woodley the main topic discussed was the letter sent to the minister of the Interior and Kingdom Relations, Ronald Plasterk on February 14th, 2017 by the Executive Council. In the letter a proposal was made to initiate a dialogue between Sint Eustatius and the Netherlands in order to address and solve the current issues in the relationship. “In our meeting which both sides freely expressed their views on-, and experiences with different (current) aspects of the relationship. The Executive Council reiterated its main point of contention in the letter of February 14th, namely the avoidable adverse effects which the additional supervision has on the functioning of the local government, and the offer to have a meeting with relevant parties to discuss structural solutions moving forward”, said Woodley. According to Woodley, Van Zwol confirmed the willingness of the Dutch Government to assist Sint Eustatius with strengthening the local government and its functioning by based on the principle of “capacity-building”. Capacity building has been recognized by international organizations like the United Nations and World Bank as essential for the development of Small Island Developing States (SIDS). According to information obtained from Woodley, the Executive Council specifically requested Mr. Van Zwol to look into approving the decisions of the Executive Council to outsource the Finance Department and amend the budget for 2017 by an external firm, so that these crucial projects can start and be finalized as soon as possible. The commissioner also says that parties have agreed to focus on the future, based on mutual respect, trust, good faith, and open dialogue via short and direct communication lines. According to information obtained by The BES-Reporter, Van Zwol indicated that he would discuss his findings with the minister Plasterk in the days following his return to the Netherlands. The minister on his turn will report in a later phase to the Dutch Parliament on the progress of the relationship between his Ministry and the local government of St. Eustatius. Woodley says he and fellow commissioner, Derrick Simmons want to thank the Secretary-General for taking the time to listen to the concerns on the side of St. Eustatius and the willingness of Van Zwol and his delegation to have “open and frank discussions”.